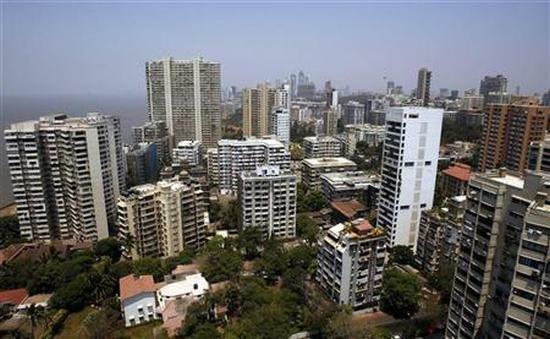 Rediff.com » Business » Is the tide turning for real estate? Is the tide turning for real estate? After a long hiatus, analysts have started turning bullish on real estate. Many have started placing 'buy" recommendations on realty stocks after several quarters. So, is it the start of a turnaround in the property market? Analysts are betting on factors such as the success of recent projects such as L&T-Omkar's in Bhoiwada, Parel, in Mumbai, Tata Housing and Godrej Properties' projects in Gurgaon and the Phoenix Mills project in Bangalore, where pricing and sizes were attractive. L&T Omkar got 400 bookings in four to five days of the launch of its slum redevelopment project in early September, with 150 waitlisted. In the same month, Godrej Properties sold 695 apartments spread over a million sq ft in its Godrej Summit residential near the Dwarka Expressway, Sector 104, Gurgaon. In the L&T project, the attraction was the price of Rs 19,000 a sq ft as against the market price of Rs 20,000-28,000 a sq ft and the project's proximity to the Worli-Lower Parel business district. "The residential segment has witnessed a sharp pick-up in new launches, given a seasonal strong second half (festive season) and with the approval environment improving in Mumbai," said Saurabh Kumar and Gujan Prithyani, analysts at JP Morgan, in a December 13 note to clients. "Importantly, new launches across key markets have fared very well over recent months." Although home offtake numbers in the September quarter were not that great, there was a marked improvement over the previous quarter of 2012, when home sales dropped to almost half of those in 2011. According to realty research firm PropEquity, the absorption of homes was down 30 per cent on a yearly basis in the September quarter in the National Capital Region and 28 per cent in the Mumbai Metropolitan Region. Added Om Ahuja, chief executive, residential services, Jones Lang LaSalle India, a global property consultant "There is a serious demand for the right product at the right price, which is in the right location." Analysts and developers alike are saying the improved approval scenario in cities such as Mumbai after a gap of two years - stuck due to delays and ambiguity on development rules and housing scams - has led to an offtake revival. "We think there is pent-up demand in the market and volumes can bounce back sharply as the launch activity gains traction and if pricing remains rational," said JP Morgan's Kumar and Prithyani. Pujit Aggarwal, managing director of Mumbai-based Orbit Corporation, a developer, believes the slowing in Mumbai mainly came from a lack of supply in the market, despite huge demand. "We are seeing a huge return of buyers. Wherever construction is taking place, buyers are ready to buy those properties," he added. He says the company sold apartments in Mumbai worth Rs 100 crore in October and November, up from around Rs 50 crore in the same period last year. In the National Capital Region (NCR), both Noida and Greater Noida are seeing increased launches and absorption after opening of the Yamuna Expressway and notification of a new master plan. This trend is expected to continue, analysts said. Rohtas Goel, chairman and managing director of Delhi-based Omaxe, says: "Sales are happening at a normal pace but we are yet to see a turnaround." According to consultants, DLF's mega project in Gurgaon and Lodha's project in Worli are expected to test the market further. In the south, both Chennai and Bangalore are seeing steady absorption. "Southern markets seem to have benefited from increased NRI (non-resident Indian) investments on the back of rupee depreciation. Pricing, however, in these markets has increased sharply over the last few months, adversely impacting the affordability levels," said JP Morgan's Kumar and Prithyani. Though residential sales are reviving, commercial properties are yet to see improvement in offtake, given a slowing in the global and domestic markets. According to global property consultant Knight Frank, transaction activity in commercial office properties in Mumbai fell nearly 23 per cent in the second quarter of this financial year, compared to the same quarter last year. It fell 19 per cent compared to the first quarter of 2012-13. Many buildings at Nariman Point and the Bandra Kurla Complex in the metropolis are half-vacant due to poor demand, say consultants. "Given the global market conditions, the commercial property market is likely to remain down for a year or two," said Ashok Kumar, managing director of Cresa Partners, a global commercial realty services firm. 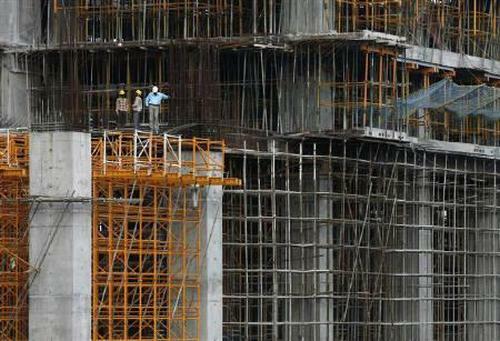 Along with property markets, analysts say, realty stocks are also expected to do well. Data culled by the Business Standard Research Bureau show the BSE Realty Index has bounced back 53.4 per cent from a 52-week low, while the benchmark Sensex has risen 25.4 per cent from its full-year low. "Many real estate stocks have moved 100 per cent from their recent lows but are still 70 to 80 per cent low compared to their all-time highs. So, I believe they are likely to perform better now," says A K Prabhakar, senior vice-president, equity research, Anand Rathi Financial Services. Accordig to CRISIL's analysis, profit before tax (PBT) of real estate companies is expected to rise 8 per cent and the RoE (return on equity) of real estate companies is likely to increase by 100 bps on a 50 bps cut in interest rates, which it expects next year. 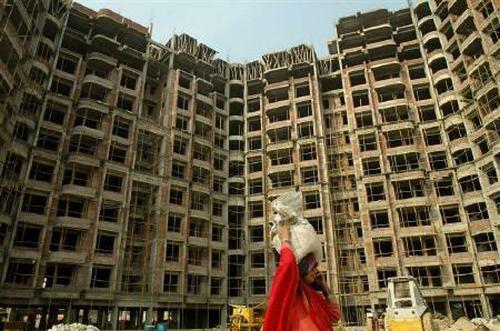 It and other analysts believe realty sales will pick up further in 2013. 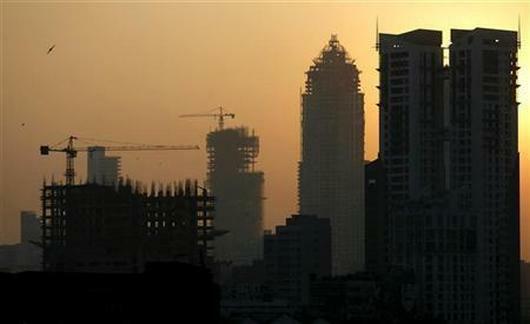 CRISIL expects lower inflation, coupled with rate cuts, to help real estate companies in FY14. "CRISIL Research expects RBI (the central bank) to cut the repo rate by at least 50 basis points in the next one year. This is expected to improve affordability and provide the much-needed stimulus to demand. Consequently, earnings and return ratios are expected to improve in FY14," the agency said. CRISIL Research also expects the healthy absorption of homes to help realty firms. It expects absorption of new residential units across Mumbai, the National Capital Region, Pune, Bangalore, Chennai and Hyderabad to increase at a compounded annual rate of seven per cent to 251 million sq ft in the next two years. Is the worst really over for DLF?